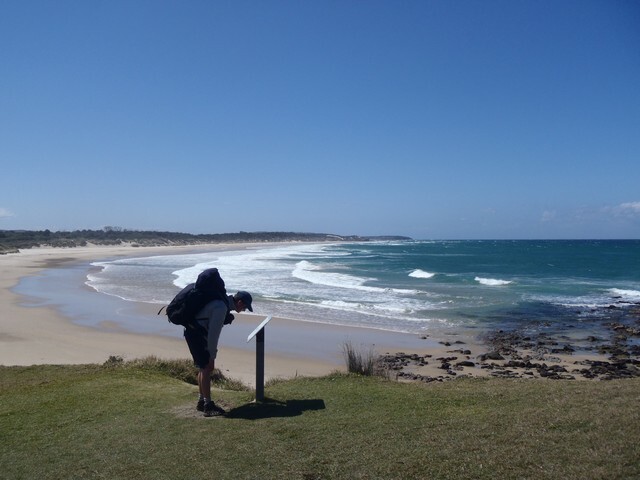 Preparations for the intended Yuraygir Coastal Walk were not exactly textbook: 8 days prior – remembered that existing hiking shoes were all but expired, so purchased replacement pair. 7 days prior – given that I had not walked with a heavy pack for nearly 5 months, I embarked on a ‘training’ walk after work. In doing so, I’m attacked by a dog and with the injury to my left calf, am barely able to walk for two days. I have little confidence I can commence the walk. So much for breaking in the new shoes. 2 days prior to the walk – I’m groomsman at a mate’s wedding – you know how that ends. 1 day prior – NRL grand final with the boys – same ending! The car shuffle takes longer than expected and the decision is made to stay overnight at Red Rock, before driving to Angourie the following morning. The splendid meal at the nearby Corindi Beach Tavern validates our earlier determination. Leaving a vehicle at Angourie the following morning, I agonise over new, unbroken shoes, or the old falling apart faithfuls – sentimentalism wins out. 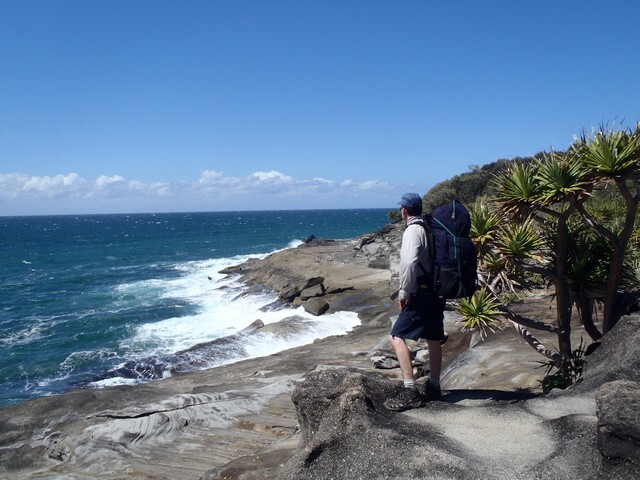 The Yuraygir Coastal Walk is a 4 day, 65 klm hike along the longest stretch of protected coastline in NSW. 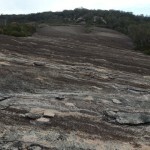 Commencing at Angourie – proximate to the popular town of Yamba – and passing south through the villages of Brooms Head, Minnie Waters and Wooli before culminating at Red Rock. The first section of the walk offers plenty of variety. 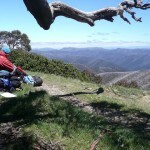 Seeing only your own footprints on an isolated beach and marvelling at the views from rocky headlands such as Dirragan Lookout, Plumbago Head and Red Cliff Lookout are a highlight. 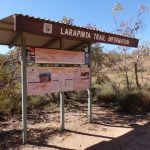 However the track that meanders through the heathlands – with numerous signposts detailing the fauna, flora and history of this region – is a worthy alternative. 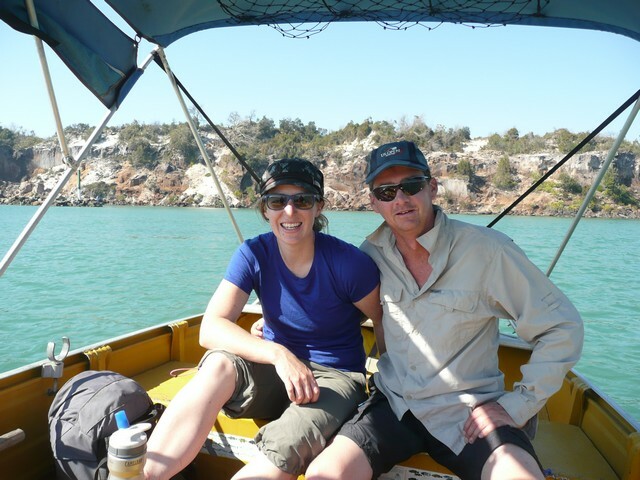 We talk with rangers spraying herbicide to control Bitou Bush, a native to South Africa. It was planted in this area to stabilise the sand dunes after the termination of sand mining in 1960’s. With the tide receding, we pause for lunch in the shade offered by Red Cliff. I have never been able to walk past tidal rock pools without investigating what may lurk within – the curse of curiosity. Remembering that Rowe is studying marine biology, I begin pointing at any possible living creature and asking – ‘what’s that?’ – probably to her annoyance, which I’m selfishly oblivious to. I discover new species I’ve previously ignored; little gems such as the Waratah Anemone. Whilst Rowe assures me our searching will reveal a small octopus, we soon concede defeat. However her confidence in their abundance in numbers, has me excitedly looking forward to our next search. With most of the walk thus far being behind the dunes, the blustery south-easterly has been only an occasional distraction when standing atop headlands. However the final 5 klm stretch to Brooms Head is entirely along the beach, and it now blows directly in our face, sand blasting our legs with each step. Rewarding ourselves with an ice cream, we set up camp in the caravan park, aided with a cold beer and hot shower – this could be setting a dangerous precedent. Cloudy skies postpone the early morning rise to greet the sun surfacing over the ocean, a shame given it could be viewed simply by opening the tent flap. The stiff breezes have disappeared with the previous day, the ocean now far more serene, minus the white caps. It was over breakfast, that the calmer water revealed our first whale sighting. Moments before leaving the park, we pass someone who warns us of a black snake sighted on the path leading up to the headland. Fortunately the only fauna sighted – as we traverse the headland, before pausing at the summit, and landing back on the beach on the southern side – are the humpbacks continuing their journey south. 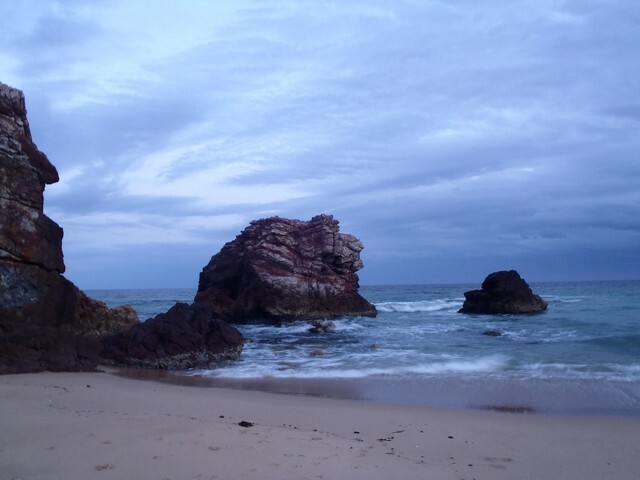 Sandon beach is an 8 klm long stretch of remarkably isolated beach. Our progress slows with the morning high tide pushing us into the soft sand. However with skies now clear and only a slight breeze, we enjoy the opportunity to beachcomb. 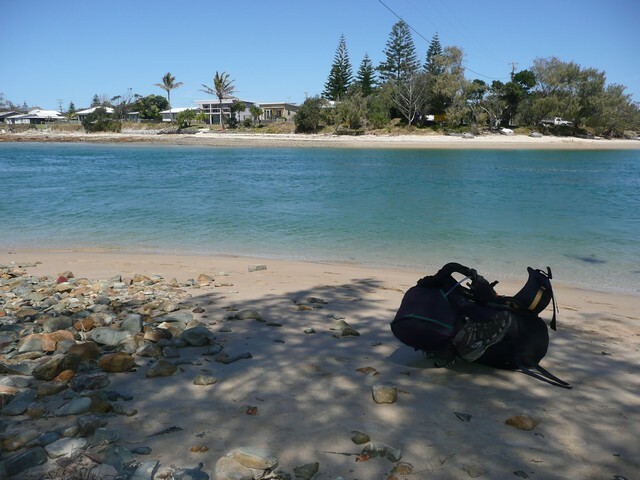 Reaching Sandon, we encounter our first obstacle on the Yuraygir Coastal Walk – the Sandon River – separating Sandon camping ground from the small village of Sandon. 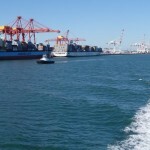 The 50 odd metres to the opposite bank would not be a difficult swim – unencumbered. Unfortunately with the outgoing tide now sweeping quickly out, swimming across the current with our packs presents a very different scenario. Enter Dave! Rowe has sweet talked one of the locals into taking us across in his dingy with outboard. Farewelling our new friend, we sit atop the nearby headland for lunch. Rock pools again beckon. A search reveals a black sea cucumber – and still no octopus. 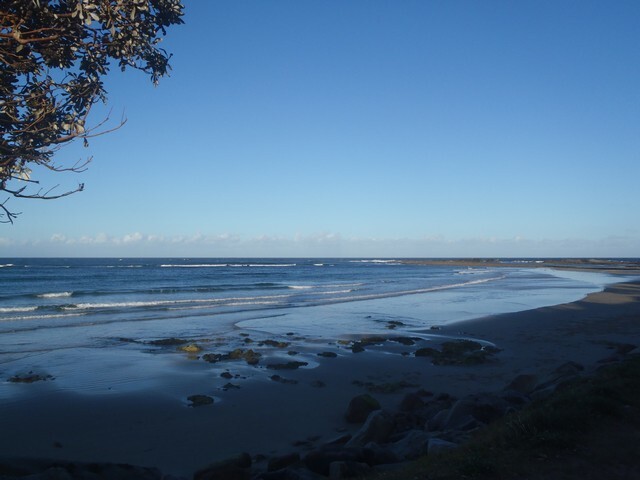 Between Sandon and Illaroo camp grounds is a 10 klm unbroken beach utilized by 4wd’s. 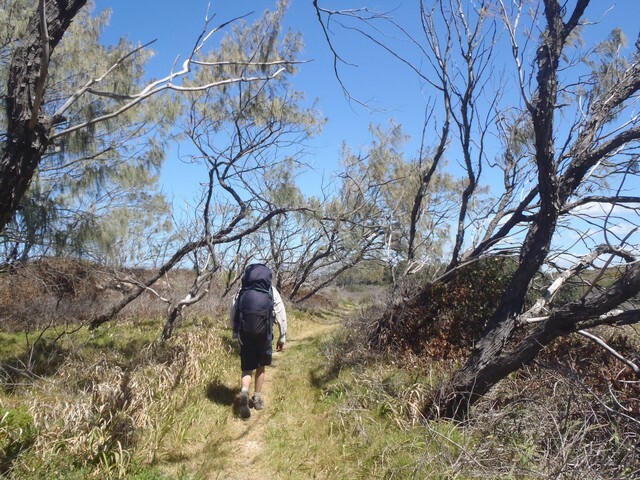 The ‘Sandon Back Track’ offers an inland alternative to walking the beach to Illaroo, unfortunately we were unable to locate where the track commenced. The whale sightings continue unabated and become our constant companion for the next three days. A pod of dolphins attempt to trump their larger ocean companions as they swim amongst the breaking shore break, following us for some distance up the beach. 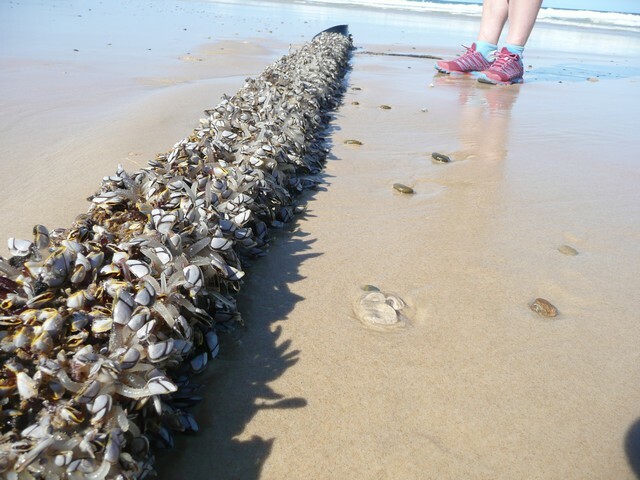 However it was another marine species – colonising a two metre long piece of timber – that caught our imagination. My best description would be thousands of wriggling spaghetti like tentacles, on the end of which sits a small pipi shell, in which resides a crablike creature. Post walk research by Rowe reveals their identity and debunks my cataloging of our discovery as an alien invader – Goose Barnacles! Apparently not that uncommon, and a delicacy in Spain. Despite the walking distance today being comparable to the previous day, the setting sun is ensuring haste to our destination. My seasoned shoes – now offering little support – are removed, I struggle to harness the energy for the last section of beach. At the northern end of the beach, I vowed not to accept a lift from a passing 4wd – now I look expectantly at each passing vehicle. We finally reach Illaroo, briefly inspecting the two campgrounds, before walking to nearby Minnie Water and the beckoning oasis of the small general store. 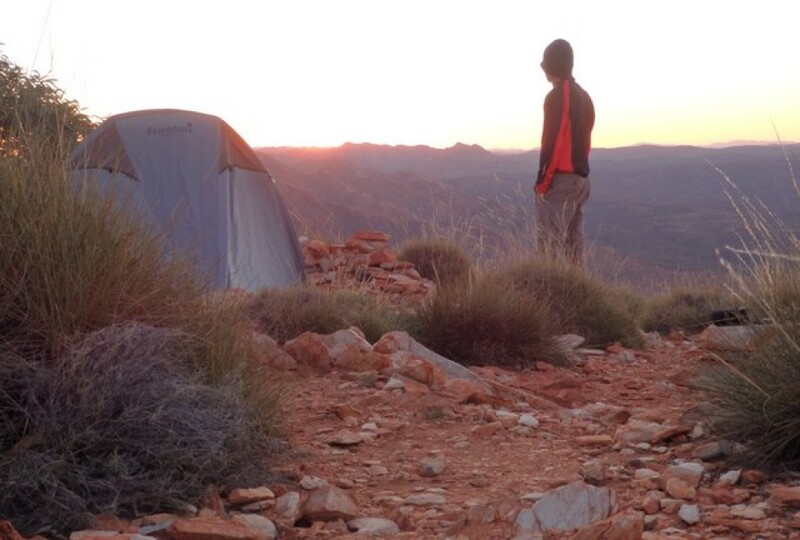 Fish and chips devoured and cold six-pack in hand, we return to Illaroo, setting up the tent as darkness descended. Beer never tasted so good. Armed with the knowledge that today would be a shorter walk than the previous two; a sleep in was both acceptable and inevitable. I can see daylight shining through to the inside of my shoes, hope they can hang in there for two more days. Again our day begins with a fellow camper warning of a snake sighting. Coincidentally, Rowe now seems reluctant to lead the way when walking anywhere off the beach. We return to Minnie Water general store and order chicken sandwiches to go; stashed away in the pack for lunch. The views from the residences atop the headland are absolutely incredible. One house looking somewhat tired and unloved is listed for sale; post walk research reveals the asking price – $1.1 million. 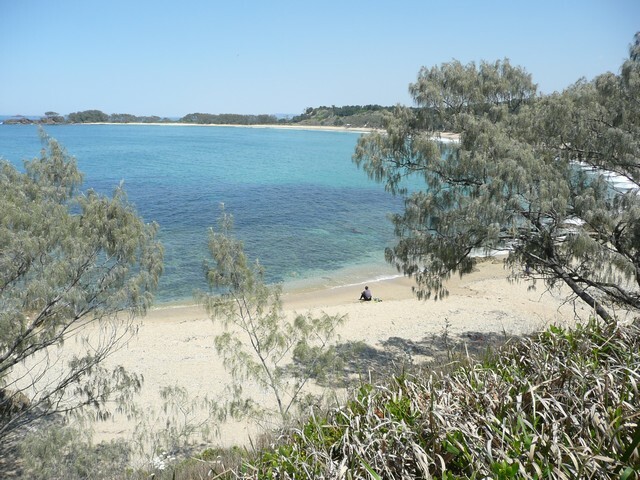 A community group within Minnie Water has constructed and now maintain the section of the Yuraygir Coastal Walk between the township and nearby Back Beach, complete with benches and tables at every vantage point. Their efforts are to be applauded. 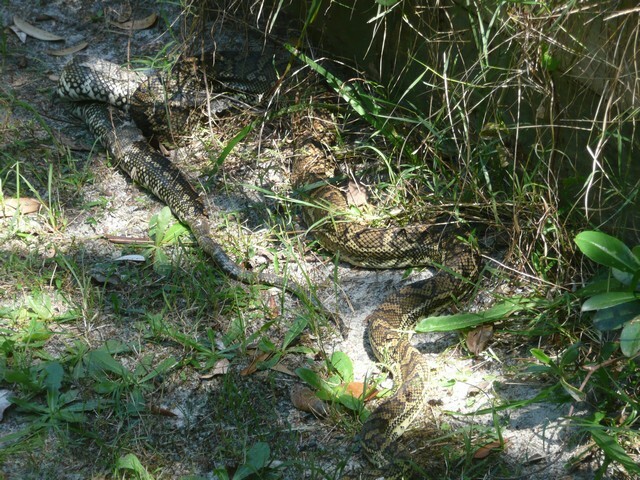 It was within this section of the walk we very nearly stand on a python, partly blocking the trail. Due to vegetation and a retaining wall, neither party was able to exit the track. After some deliberation and much trepidation, we sneak past without incident. Small beaches and secluded coves – some white sand, others ankle-deep in pebbles – bookended with rocky points and headlands; the coastline between Minnie Water and Diggers Camp is vehicle free and remarkably isolated, truly beautiful. The first two days were not warm enough to entice us into the cool water, today’s climate however is noticeably more balmy. The chicken sandwich beckons, but not before cooling off in the clear water of a small isolated bay. As if joining us, whales playfully breach and splash directly out to sea. 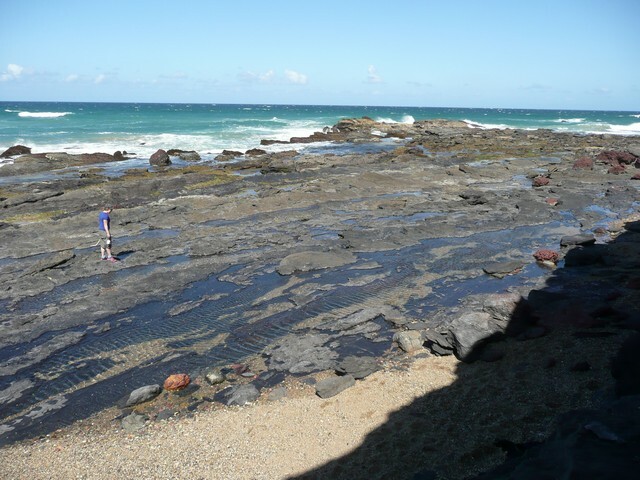 Lunch consumed, we again explore some adjacent rock pools – still no octopus! 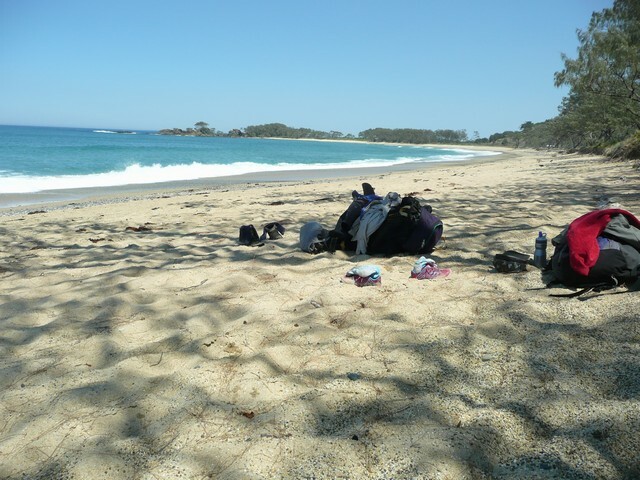 Leaving the beach, we pass Boorkoom camp grounds and Wilsons Headland, walking through coastal vegetation interrupted with fantastic views of the coastline. Eventually we reach Wooli beach, where the receding tide makes the final 5 klm’s to Wooli a relatively easy walk on hard sand. 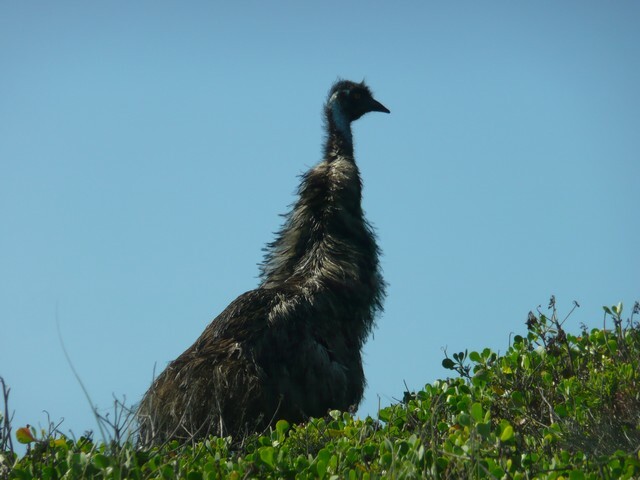 The iconic symbol of Yuraygir National Park is the endangered coastal emu, with numbers estimated to be fewer than 100. 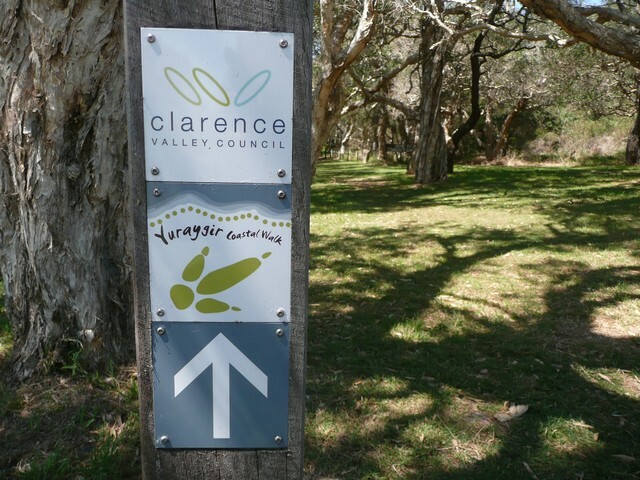 Track markers for the Yuraygir Coastal Walk are an emu footprint, with different colours to indicate terrain ahead ie. yellow-beach, blue-water crossing, green-bush, red-rock. As we walked along Wooli beach, my eyes cast seaward for whales, dolphins and the like, Rowe suddenly shouts ‘an emu!’ Sure enough, some 200 metres away, an emu is standing atop a sand dune, soon after which – possibly bored with whale watching – it disappears behind the dunes. Excited at our find, we run to where we last saw it. Climbing the dune, we carefully peek over the top. Initially concerned it would abscond at our intrusion, it actually seemed quite oblivious to our presence, enabling a few photos and even a short video. The township of Wooli – situated on a long peninsula sandwiched between the beach and the Wooli Wooli river – comes complete with bowls club and with it the cold beers and hot meal that beckons. 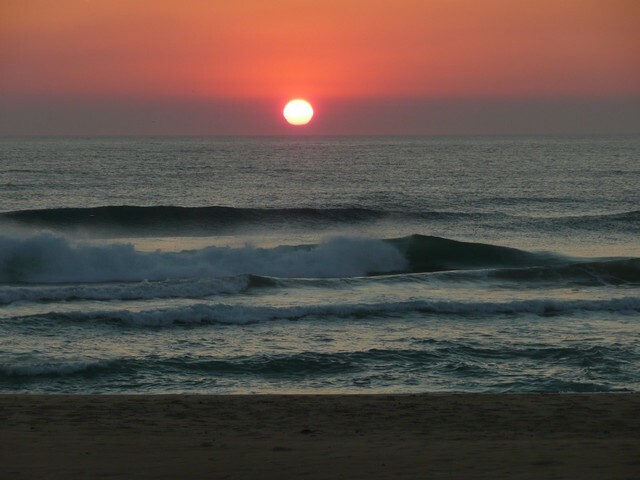 Sitting on the beach, I witness the sun dawning on a new day – alone. Rowe has slept in – again. We meet the boat at 8.30am to take us across the Wooli Wooli River. Embarking on the other side, we comment on the already warm temperature. My shoes are giving about the same support as an ugg boot. 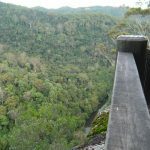 The walk information leaflet reads “Once crossing the Wooli Wooli River you will traverse a 5km stretch of rock platform, which can be quite strenuous. 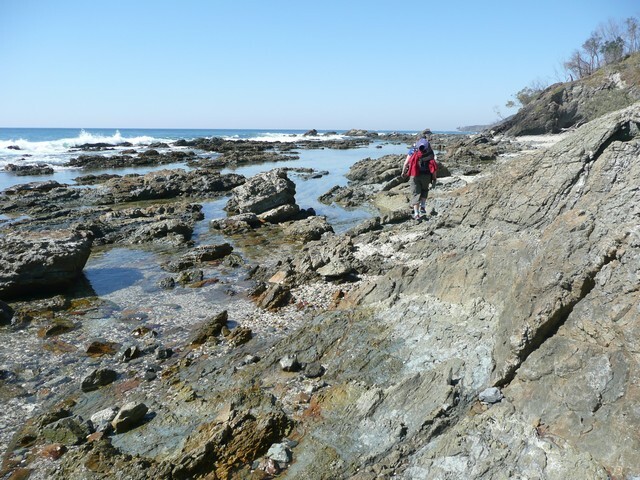 This is the most remote section of the Yuraygir Coastal Walk….walking across the rock platforms can be difficult”. Negotiating a path through the rocks, whilst staying out of reach of any incoming waves, was an enjoyable alternative to walking for hours on a beach. However an hour or so in, and the combination of heat, no breeze and rising tide pushing us high onto the rocks has our enthusiasm ebbing away. We rest – or collapse – in a small pebbly cove, stalked by turtles coming up for air in the breaking waves. Shortly after we rest again in the shade of pandanus palms, before finally reaching Pebbly Beach camping area. Collapsing in a shady section of the beach, the clear cool water pulls like a magnet. Whilst swimming in the surf, we meet and converse with a couple – who along with their teenage children – have been here for 20 days! I may be looking through rose-coloured glasses after the morning’s effort, but I concur with their appreciation of this piece of paradise. Our new-found friends top-up our water bottles and later bring two cans of gratefully received cold soft drink. Wading across Station Creek, it’s a leisurely 5 klm barefoot beach stroll to our destination at Red Rock. With the car in sight, we have however one final obstacle – the Corindi River. With the tide low, the river is only about 10 metres across, an easy swim. However to avoid waterproofing the packs we ‘borrow’ a kids unattended boogie board and float them across. 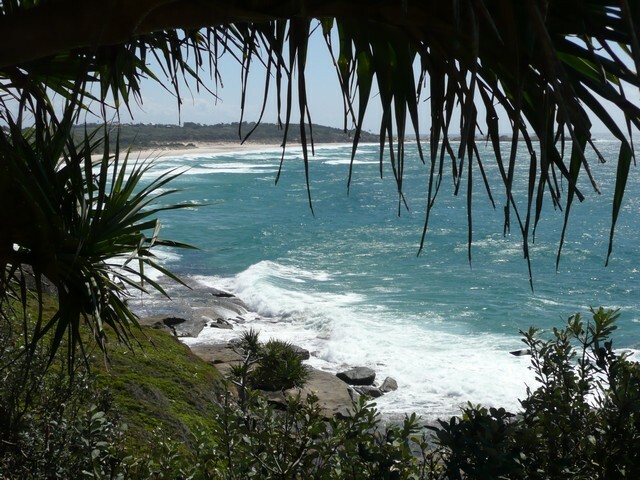 The Yuraygir Coastal Walk deceives its geographical location, seemingly a world away from civilisation, yet easily accessible. 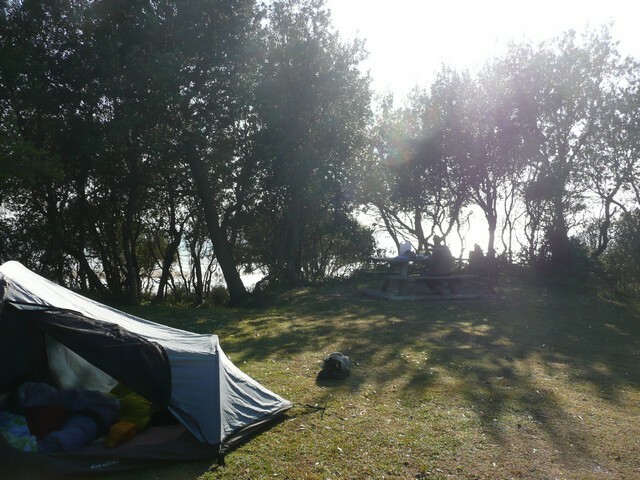 Secluded beaches, magnificent views and terrific camping sites in a pristine environment. 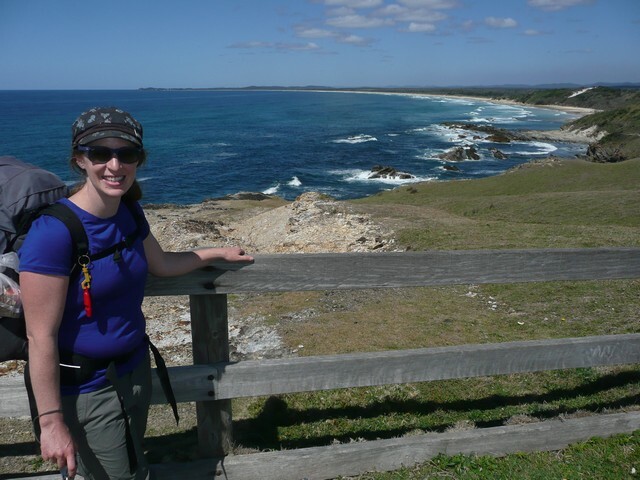 We felt spoilt at the accessibility, variety and abundance of the fauna and flora of the Yuraygir Coastal Walk – except for octopus! 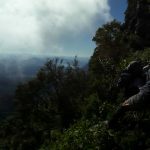 This entry was posted in Multi day hikes in Australia and New Zealand and tagged coastal hikes in NSW, hiking in NSW, Illaroo Camping area, Minnie Water, multi day family hikes in NSW, Pebbly Beach Camping area, Plumbago Head, Red Rock, Wooli, Yuraygir Coastal Walk by danthewanderer. Bookmark the permalink. Enjoyed your blog. Very helpful as there’s not a lot of detailed information about the walk. It seems that the Sandon River and Wooli River pose serious problems and I can’t find any useful information about how to cross them or who to make arrangements with who has a boat. What’s your advise and any contact details would be helpful. The Sandon River is do-able without a boat – if you are a good swimmer and current is not running too hard. When we were there, was no-one set-up to transfer people by boat (as a business venture), but there were plenty of dinghys, canoes etc, so if I was to do the walk again, I would be confident of finding someone who would be kind enough to take us the short distance across, even if I had to pay a small fee. As for Wooli River, there is a commercial operator who will take you across. I no longer have his details, but if you ask at the caravan park or where-ever you staying the night,or even the local store etc (perhaps ring caravan park etc before you start the walk? ), have no doubt they will have his details, it’s a small town.